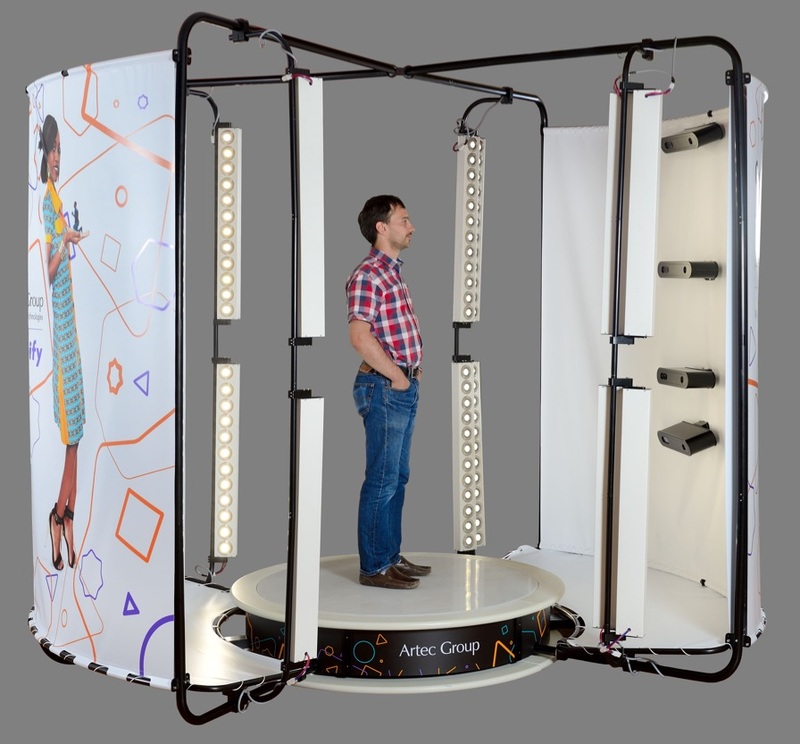 Artec Debuts World’s First 3D Full Body Scanning Booth in the U.S.
Palo Alto, CA. October 20, 2014 - Artec Group, a leading developer and manufacturer of professional 3D software and hardware, announces today the debut of its Shapify Booth in the USA. This first-of-its-kind booth creates a full scan of a person or object in just 12 seconds and automatically produces a detailed 3D model from this data, which is then used to 3D print a full color replica mini-me figurine called a “Shapie.” Shapies are the perfect gift or keepsake, similar to a photograph. Every Shapify Booth is equipped with four wide view, high-resolution Artec scanners, which rotate around the person to scan every angle. The high powered scan and precision printing is able to capture even the smallest details, down to the wrinkles on clothes. This process generates 700 captured surfaces, which are automatically stitched together using Artec’s advanced algorithms to produce a printable file ready for 3D printing. "The Shapify Booth will be the first experience many people have with 3D scanning and printing technology,” said Artyom Yukhin, president and CEO of Artec Group. “As a kid you may have gotten into a photo booth with your friends and had a strip of pictures printed out to commemorate the occasion. Our goal is to have this generation do the same thing, but add another dimension and in the end have a 3D printed figurine to solidify the memory. In a short time, we’ve already seen people use the booth to capture their pregnancy, to create a figurine for their grandparents, to make wedding cake toppers, and more. The possibilities are endless." The Artec booth will be on display and demoing its technology at the Inside 3D Printing Conference and Expo (booth #207) on October 21-23 in Santa Clara, California. After the event, the booth will be in Artec’s showroom in Palo Alto, California, where anyone can use it to create a Shapie of their own. To learn more about the Shapify Booth visit https://shapify.me/partner/booth. The Artec Group is an international group with subsidiaries in the USA (Palo Alto), Russia (Moscow) and Luxembourg. Artec develops and produces innovative 3D solutions and products. Artec has a team of professional experts in the collection and processing of 3D surfaces as well as biometric facial recognition. Artec’s products and services can be used in many industries, such as in security technology and in engineering, medicine, media and design, entertainment, fashion, historic preservation, and many more. The corporate culture of Artec Group is characterized by a combination of Russian Engineering, European business ethics and the spirit of innovation of Silicon Valley. Shapify, the service for the creation of 3D characters, was designed and introduced in 2013 by the Artec Group: https://shapify.me. For more information about Artec Group please visit www.artec-group.com. Among a multitude of interactive exhibits, the new science center houses Artec Shapify Booth, which makes high-resolution full-body 3D scans in a matter of seconds. Scientists at the University of Luxembourg’s Interdisciplinary Centre for Security, Reliability and Trust (SnT) are working on the next breakthrough in 3D scanning technology, and they need volunteers.